Ecuadorian food is diverse and underrated. Each of the country's three geographic regions, the Amazon, the Sierra, and the Pacific coast features its own array of local delicacies. Like Colombia to the east, soups are a specialty across the country, and like Peru to the south, ceviche is a typical dish on the coast. Leave your preconceived notions at the border, and make it a point to step outside your comfort zone while traveling through the country. 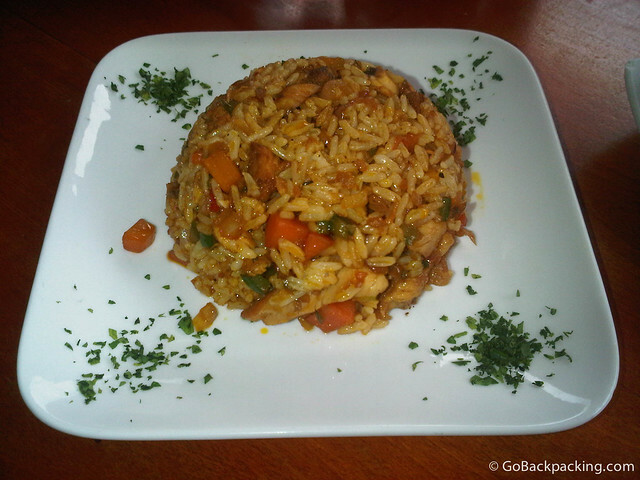 Arroz con pollo (rice with chicken) and arroz con camarones (rice with shrimp) are both traditional dishes found throughout Latin America. There's nothing special about the versions you'll get in Ecuador. Both are tasty staple dishes you can always fall back on if nothing else on the menu catches your eye. Ceviche is a mix of raw seafood and shellfish “cooked” in citric juices, especially lime juice. Typical ingredients include white fish, shrimp, crab, clams, squid (calamari), and onions. Where to Eat It: Ceviche is often enjoyed at the beach. 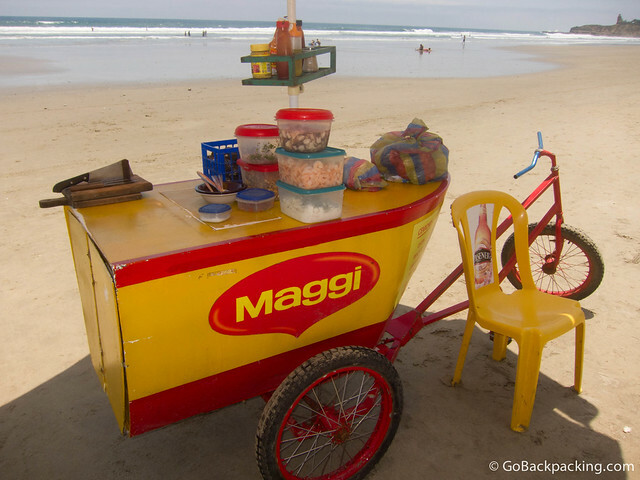 The surf town of Montanita is filled with ceviche carts where you can order a custom-made bowl for as little as $5. For higher quality ceviche, visit one of the many restaurants in Guayaquil. 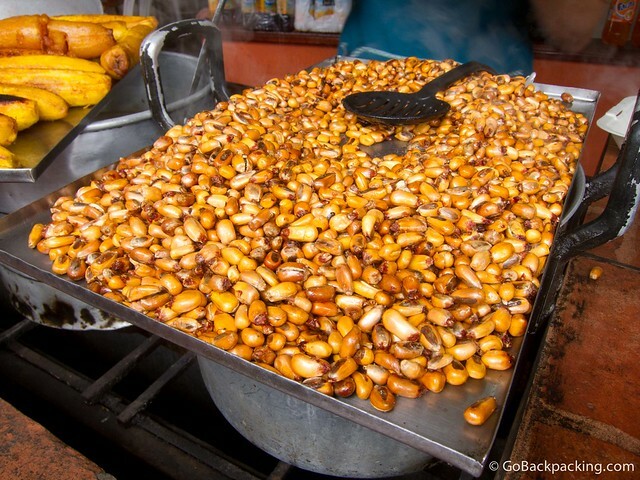 Dry roasted Andean corn is sold as a snack food on the streets. 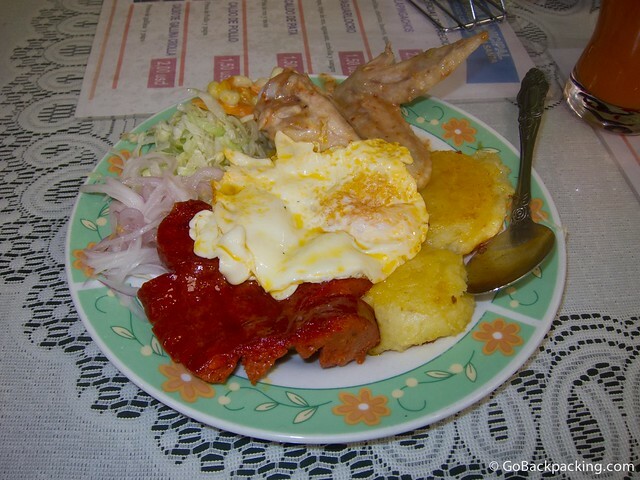 Thanks to TV, and word of mouth, cuy is perhaps the best-known Ecuadorian food. Sampling this small rodent (and pet in Western countries) is a rite of passage for most backpackers, if not all travelers. 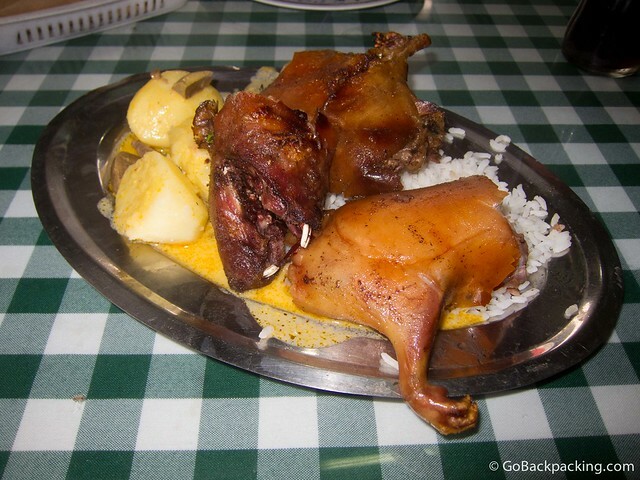 Due to the cost, cuy is often eaten by Ecuadorians to celebrate special occasions. A whole cuy costs about $20. However, this is typically too much for a single person, especially one who is merely interested in sampling it. Instead, order a single piece, or quarter cuy to find out if you like it. Cuy is very greasy, and there's not a lot of meat. It's mostly skin, bones, and cartilage. Expect to use your hands, and get messy. Locals love to eat everything, with the small and crunchy paws and creamy brains being especially popular. Where to Eat It: Cuenca is the best-known city in Ecuador for cuy. 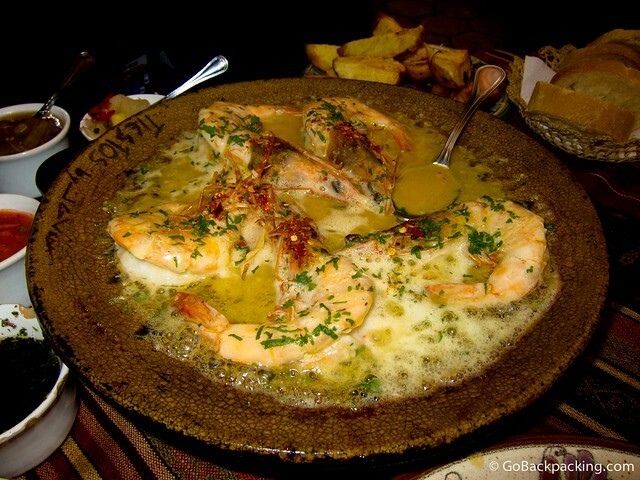 To sample this traditional dish in an excellent restaurant environment, head to Guajibamba Cuyes (Luis Cordero 12 – 32 Y Gaspar Sangurima). Alternatively, there are several restaurants next to the Market on the main street in Banos which openly cook cuy. Langostinos are one of the many fresh and delicious seafood options on offer in Ecuador. Because the country is so small, they can easily be sourced from the coast, so don't be afraid to order them if you're in the Sierra mountains. I had some of the best langostinos of my life at Tiesto's Restaurant in Cuenca. Read my review. Where to Eat It: Tiesto's Restaurant in Cuenca. Librillo is the cooked and chopped stomach lining of a cow. It can be prepared and served in many ways, usually with rice. It's popular in the mountain regions of Ecuador. 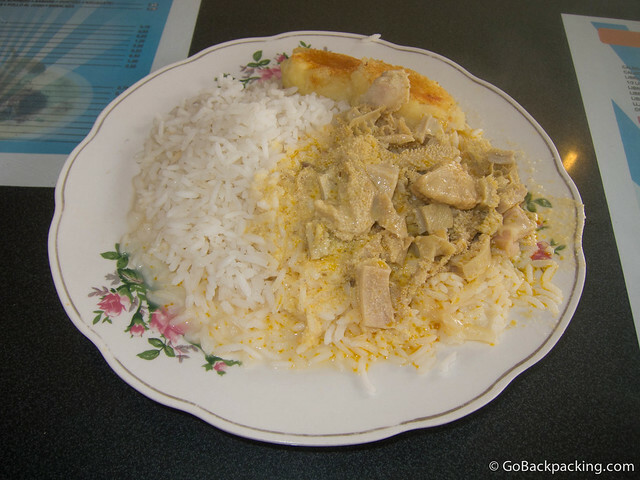 If you're a fan of tripe or are feeling adventurous, order this Librillo. 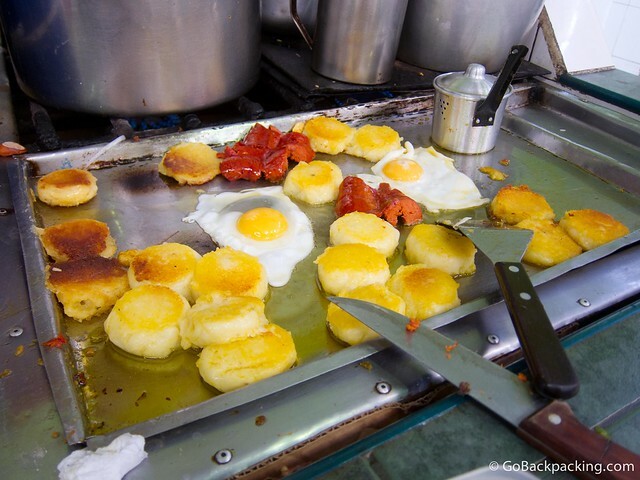 Llapingachos are one of Ecuador's best known, and most beloved, dishes. They are potato patties made with cheese and cooked on a griddle until golden brown. Llapingachos are often served as a side, along with pork, such as chorizo, a fried egg, avocado, and salad. This is one of my favorite dishes from Ecuador. Where to Eat It: The (lunch) Market in Banos for $2. 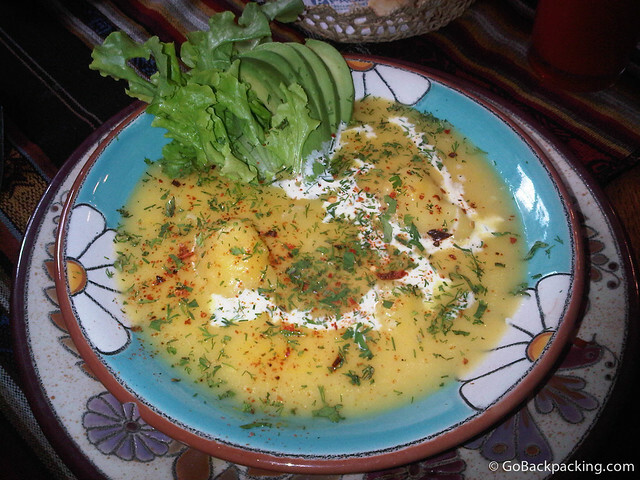 Locro Soup is a hearty, potato-based soup made with cheese and avocado. 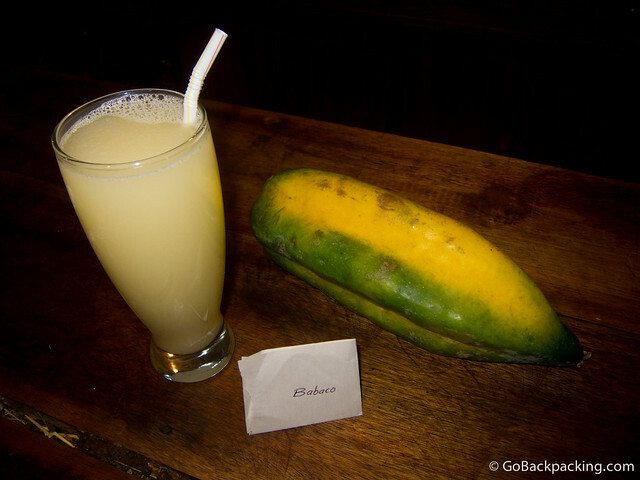 It's popular in the Sierra, and the perfect Ecuadorian food to warm you up on a chilly night. This was another of my favorite dishes. 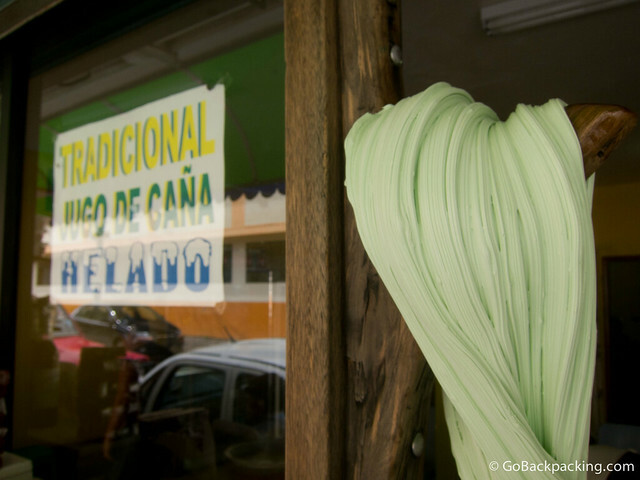 Wander the streets of Banos long enough, and you're sure to pass by the candy shops where Melcocheros are busy preparing the colorful local taffy, known as Melcocha. The stretching and kneading process occurs as the taffy is slapped around wooden pegs located inside the door jambs of the shops. The candy is very sweet but dangerous. I wouldn't recommend chewing on it if you've got loose teeth, or have had a lot of dental work done. Where to Eat It: Any one of the many candy shops in Banos. Pan de Yuca is a soft bread made with flour from the yuca root, cheese, butter, and eggs. It's common throughout Latin America and often goes by different names depending on the country. Served warm, it makes an excellent appetizer or snack. 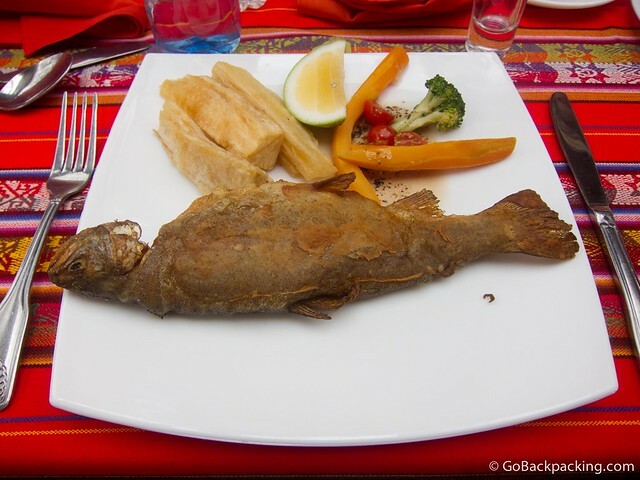 Trout is a traditional dish served throughout the Sierra and is often accompanied by potatoes or yuca, and vegetables. Where to Eat It: Restaurants in the Sierra mountains (ex: Banos, Cuenca). 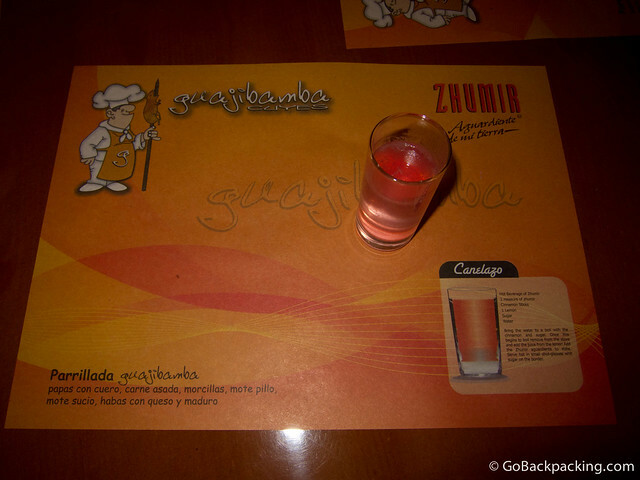 Canelazo is an alcoholic shooter made of Aguardiente (a clear, anise-flavored liquor), cinnamon, lemon, sugar, and water. Popular in the Sierra, it's served warm, and can often be ordered by the pitcher. Ecuadorian food may not feature a lot of vegetables; however, like neighboring Colombia, fruits are a strong point. Especially bananas. Most fruits are also available as fresh juices too. They're inexpensively priced, so try them all if you can.